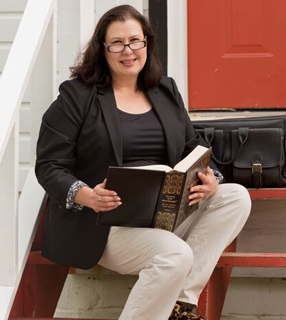 Danielle P. McCluskey has been an attorney since 1987, and has been a sole practicioner since 1998 focusing on litigation, probate, and estate planning. Early in her career, she was in-house counsel for insurance companies, including AAA of Michigan, Wausau Insurance Companies, and Nationwide Insurance Companies. Her practice has been centered in insurance issues and probate/estate planning. She is an officer for Specialized Insurance Services Agency, Inc. and a licensed insurance property and casualty agent. She is a member of several legal organizations, and has previously chaired the Genesee County Bar Association Continuing Legal Education Committee, and served on the Genesee County Bar Association Circuit Court Committee. She is a current Board Member of Danny and Ron’s Rescue, a former Board Member for the Hunter-Jumper Association of Michigan, the Past President and Board Member of the Board of Trustees for the Exceptional Equestrian Foundation, which provided financial support to disabled persons for therapeutic horseback riding. She graduated with honors from the University of Michigan at age 19, and received her Juris Doctorate from Cooley Law School in 1987. She has presented on the topics of political science, insurance, litigation issues, probate, and case management issues. Her spare time is spent on her great loves—her husband, Dean; her pets; her farm and her hobbies—cooking, reading, riding and weeding! Michigan Lawyers Weekly, “Proof of Damages”, Fall, 1995.